Ya see, I’m in love with Pacific Foods. Have been for years now and I just adore them. They’re lovely people and their products have done WONDERS for me, my family and my clients. But for the past year I haven’t been able to enjoy their amazing broths because they had sugar in them and with my Candida, I couldn’t use them. But alas, they’ve created a new bone broth without sugar. 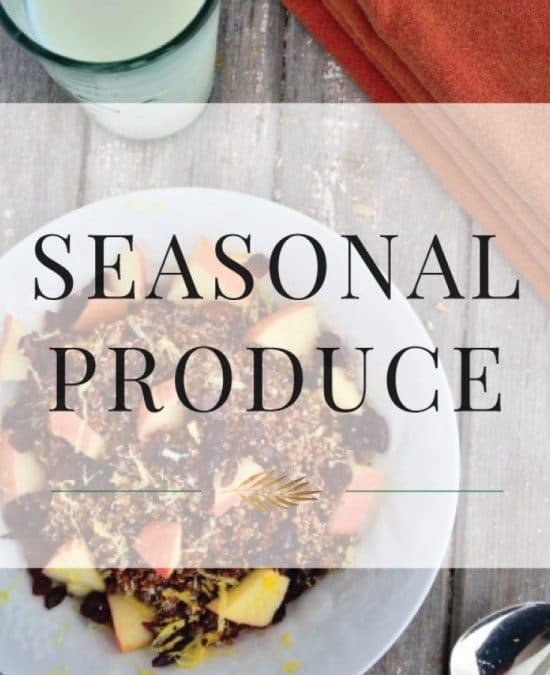 Now I’m brainstorming a million healthy soup recipes and other chicken broth recipes that I can enjoy all fall and winter long! P.S. It’s a fabulous alternative to drinking coffee in the morning; I’ve been sipping on a mug of this broth first thing in the morning and my Leaky Gut has been happy as a clam! OMG. I’m in my glory! Can’t you tell? I’m just a little-itty bitty excited. Basically this is like my entire holiday blended into a bowl of goodness. 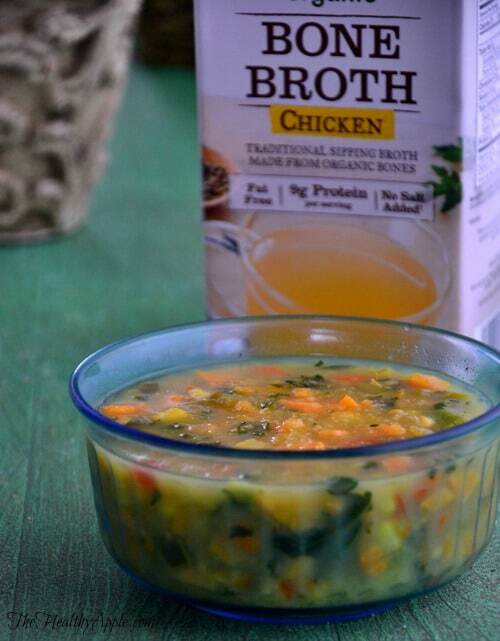 You’re going to LOVE love love this new bone broth. It’s like eating a bit bowl of Christmas all over again. Let’s talk about how much flavor these bone broths have. A LOT. Like, more than I’ve ever tasted in a broth before and there’s no additives or chemicals or canned junk. Just pure organic bone broth waiting to be poured into your favorite recipe. I’ve been wanting to make my own bone broth for such a long time now….it’s so healing for your gut, thyroid and overall immune system–but it’s time consuming since you’ve gotta cook it for at least 24 hours and I’m not sure I wanna do that in my tiny Manhattan apartment, ya know? As soon as I heard about these new Bone Broths from Pacific, I was so excited because they honestly taste even BETTER….YES BETTER than homemade. 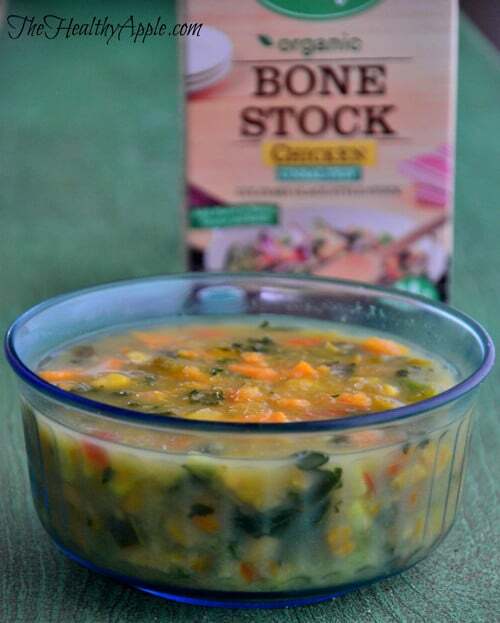 They slowly simmer organic chicken and turkey bones, sourced from pasture-raised poultry along with apple cider vinegar, water, onion, fresh herbs and seasonings for a full 12 hours. This is a super easy and convenient solution from a brand I love and trust- since I don’t have the time or the room to make my own bone broth. So, what are you gunna make with it? You better get out and get yourself a few boxes while they last- I have a feeling people are gunna whip these off the shelves this season. Heat extra-virgin olive oil in a large heavy stock pot over medium heat. Add the onion, fennel bulb slices, and minced garlic, Reduce heat to low and cook until tender, about 15-20 minutes, stirring often. 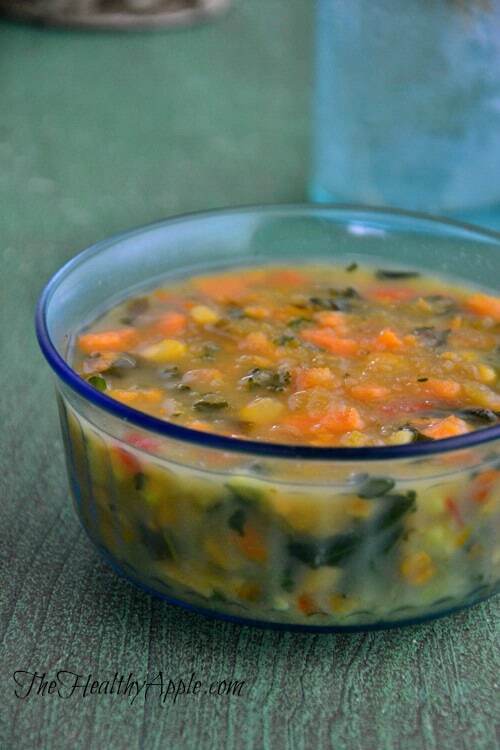 Than add fresh sage, chopped kale, diced bell pepper, sweet potatoes, diced carrots, optional corn and broth or stock; bring to a boil over medium heat and cover. Reduce heat to a simmer for 25-30 minutes or until vegetables are very tender. Add sea salt, pepper, chili powder and crushed red pepper flakes, to taste. Ohh I just picked up the turkey bone broth the other day and am intrigued to try it! I’ve heard so many great things about bone broth, but like you, haven’t wanted to spend the 24 hours making it at home. 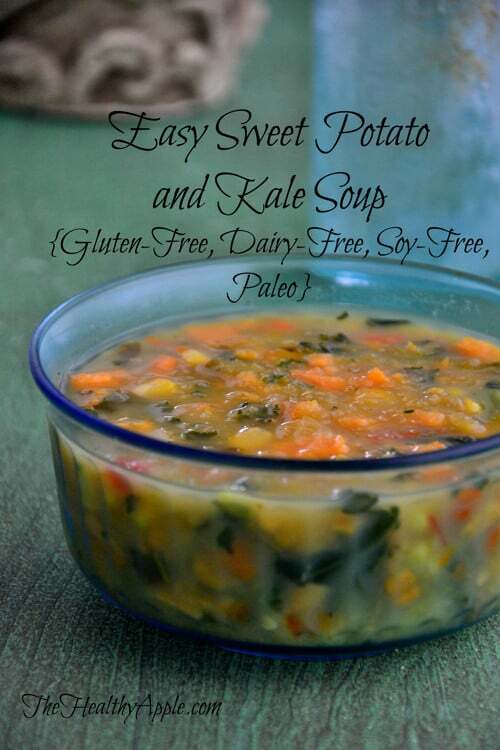 This soup looks delicious too! Thank you for the recipe. It is the best feeling when you find something new from one of your favorite companies. 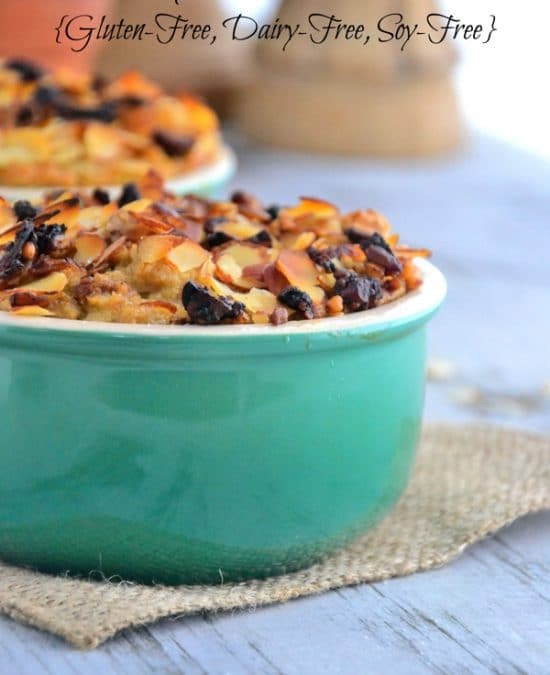 What could be a replacement for the sweet potates? I recently discovered that my stomach simply cant digest sweet potatoes and yams. I have celiac and am trying to eat cleaner. I really enjoy following you on Facebook. Thanks for sharing your journey. I love a good salad but I needed this soup in this weather. I did not know you could buy prepared bone broth. I will have to try it. Trying this tonight!! So excited- thank you! What do you do to make the bone broth taste good? I’ve tried it straight but find it tastes like dishwater and makes me gag. I’ve been diagnosed with Moderate Adrenal Fatigue and bone broth is something I’m supposed to be drinking every day. I can’t wait to try this recipe.